As the leading provider of professional moving services in London, at Rabbit Man and Van we offer very comprehensive and cost efficient solutions to furniture delivery jobs of various nature and scale. People usually contact us when they purchase an item of furniture from big stores like IKEA, Home Depot etc. and need someone to bring them over to their homes or offices. As with the rest of our services, your furniture delivery and assembly in London is going to be handled by licensed professionals who have years of experience in this particular field of the moving industry. Our packers and movers are dedicated professionals who know every little trick of the trade, which means they will figure out what the best course of action would be according to the individual specs of your job. You can count on Rabbit Man And Van when there is some sort of complication like stairs, or the furniture is one-piece thus hard to maneuver. We will handle it professionally and safely, just like we are supposed to. We do furniture deliveries with the help of a fleet of state of the art vans that come with GPS navigation. All our vehicles are kept immaculately clean and have the relevant safety gear – belts, moving blankets etc. that are needed for the hassle-free transportation of all sorts of goods. The moving blankets and the whole vans are thoroughly cleaned after every moving job they are used for. Our drivers and helpers are courteous and very skillful as well. Feel free to contact our customer support centre at any time for further details or if you want to make a booking. Have in mind that due to the nature of the furniture delivery jobs, especially if they are purchased from the store, we understand that things might be urgent. So, we make sure to keep our schedule flexible and last minute booking possible. Make sure to ask for a free quote upon contact so that you can see in advance how competitive our prices truly are! Our customer support can be reached both over the phone and via email. We are looking forward to hearing from you. We operate anywhere in all the 32 boroughs of London. Our nation’s capital has many faces – commercial, residential and tourist ones. From football matches in Wembley Arena, through art performances in the Royal Albert Hall or peaceful afternoons in some of the magnificent parks that are scattered all across the city, London has something to offer to everyone. "Quite pleased with the price and speed of your office removal service, must admit I did not see such a quick completion of the project and was a bit sceptical as to whether or not you can keep the deadline, but actually the job was finished an hour ahead of schedule. Excellent service, good news for my business. Nothing of my equipment or materials was broken or missing – good stuff." 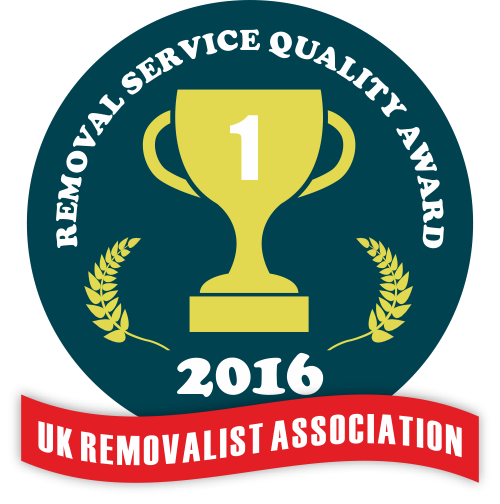 "Was looking for a good price on a flat removal, and your man and van service gave me the best quote, did not think twice – booked the removal for the very next day. Everything went fine, no complaints whatsoever. I do apologise for making your team lug everything down such a narrow staircase, but they seemed to have the skill and patience for it. Thanks again, will most likely recommend you to my mates." 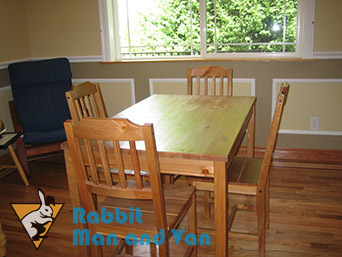 "Thank you Rabbit Man and Van for doing our house removal on such a short notice and without charging us big money for it. My girlfriend and I will have to do another house move in the upcoming months, as there is another young family member on the way so we need to upsize – will contact you again when the time comes. Grazie and good luck to your company!"